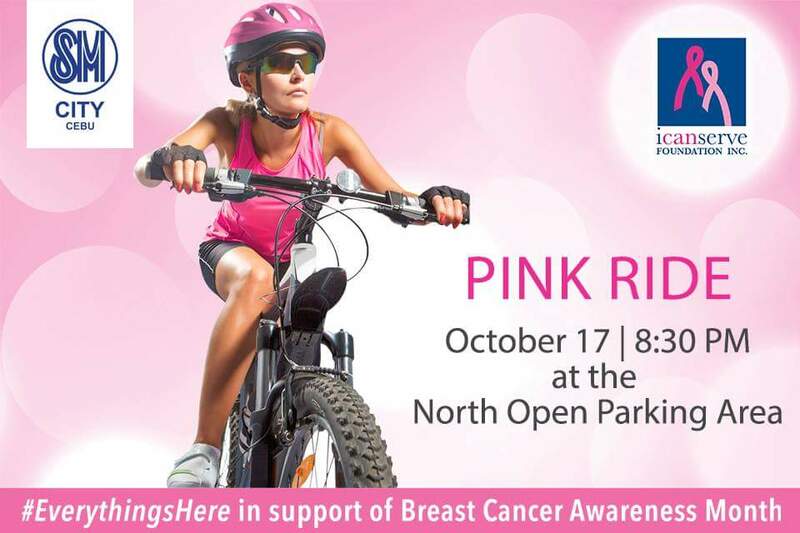 ICanServe Foundation’s Cebu Chapter works with partners to rock Cebu’s breast cancer awareness campaign with simultaneous events tomorrow, October 17. 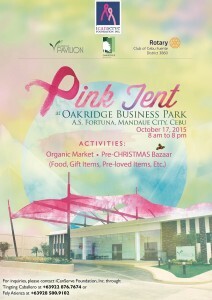 Oakridge Pavilion, Oakridge Business Park and the Rotary Club of Cebu Fuente District 3860 support the Pink Tent from 8 a.m. to 8 p.m. at the Oakridge Business Park, A.S. Fortuna, Mandaue City, Cebu. 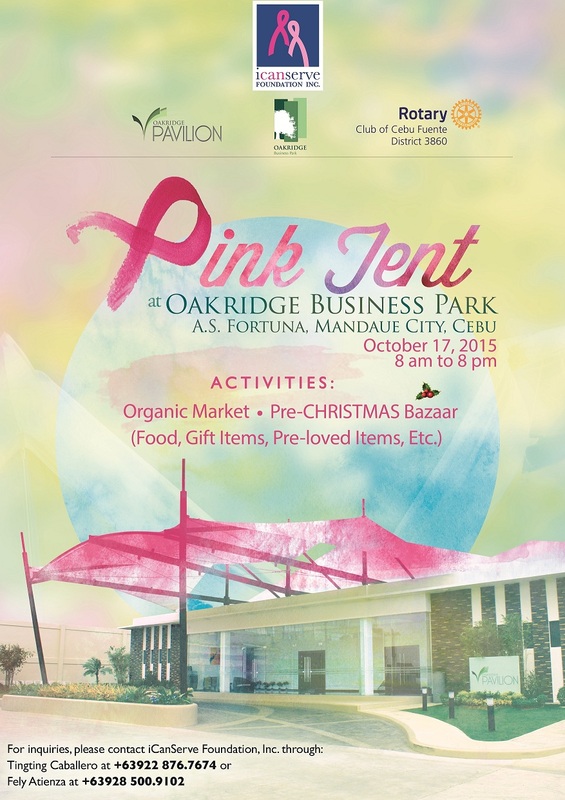 The Pink Tent combines an organic market and pre-Christmas bazaar featuring food, gift items, pre-loved items and other holiday gift suggestions. Contact Tingting Caballero at 0922 876 7674 or Fely Atienza at 0928 500 9102 for inquiries. Meanwhile, SM City Cebu supports the Pink Ride at 8:30 a.m. at the North Open Parking Area. 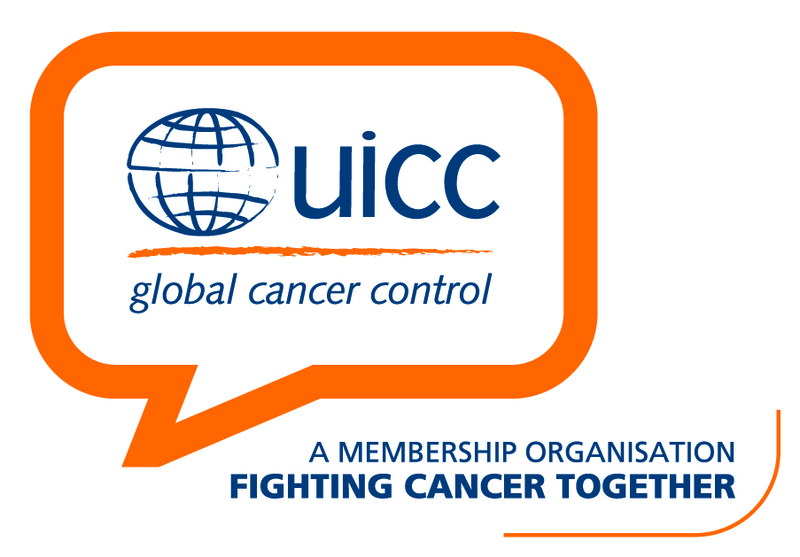 All happening on October 17. SM City Cebu also hosts the Pink Room at the Mall Clinic, 2nd Level of the Northwing. 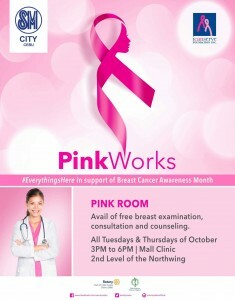 Avail of free breast examination, consultation and counseling on all Tuesdays and Thursdays of October. The Pink Room is supported by the Rotary Club of Cebu Fuente District 3860 and by the Philippine College of Surgeons-Cebu Eastern Visayas Chapter. 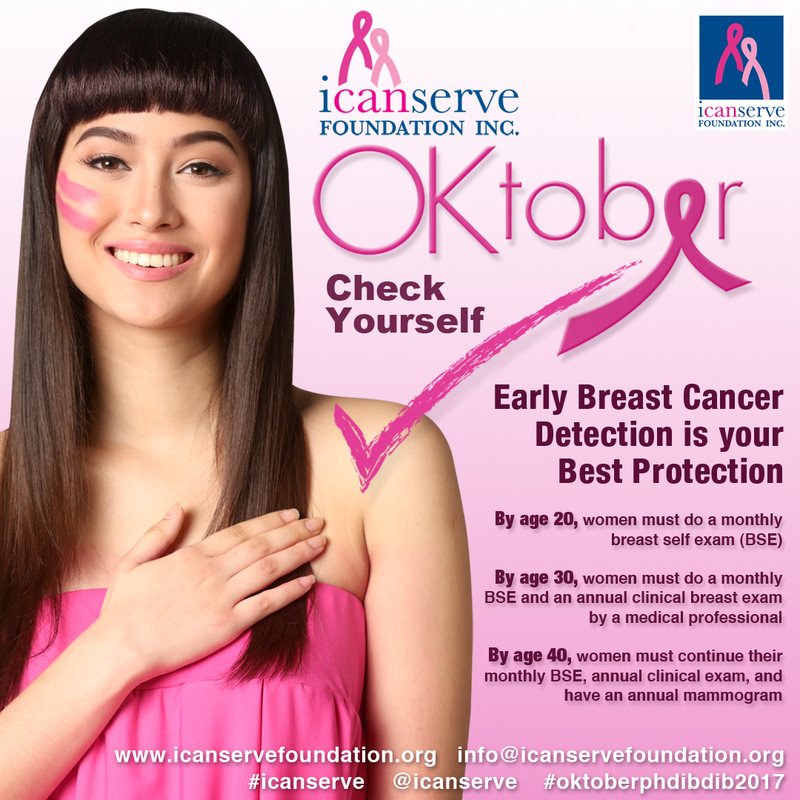 ICanServe also thanks the Eduardo J. Aboitiz Cancer Center for its sponsorship of mammograms and sonograms for those needing further evaluation.